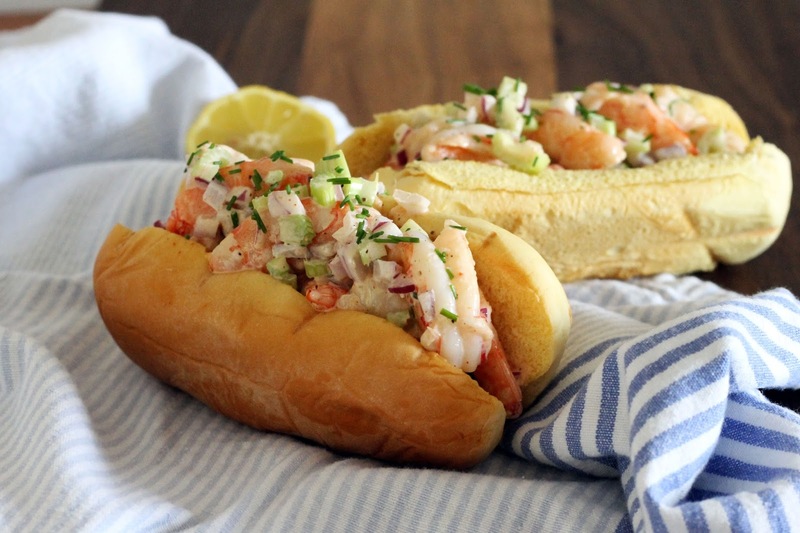 When in Charleston, you may notice a surprising amount of lobster rolls on menus. Though they are tasty, the fact that I have never seen local lobster kind of baffles me. In a city that offers such a large variety of local seafood, why eat something shipped in? 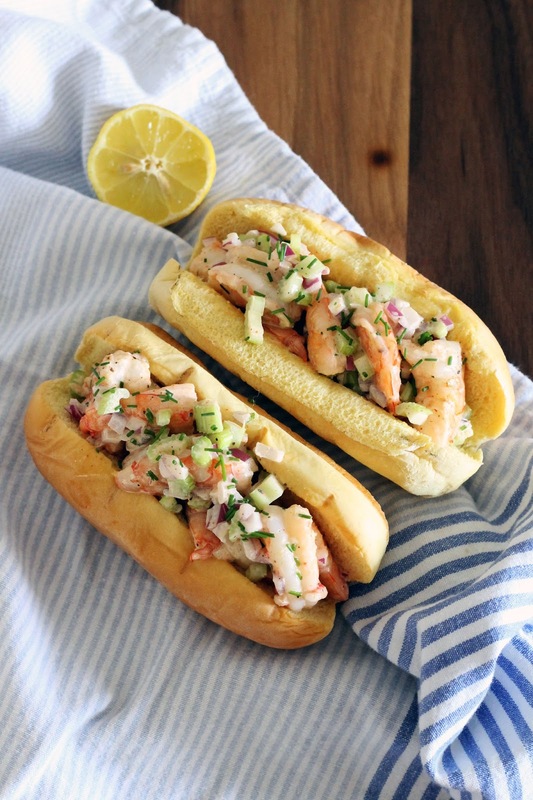 These shrimp rolls were made with local shrimp caught right off the coast. Roasting the shrimp adds more flavor than traditional boiling, and the cumin and smoked paprika gives this dish a nice depth of flavor. 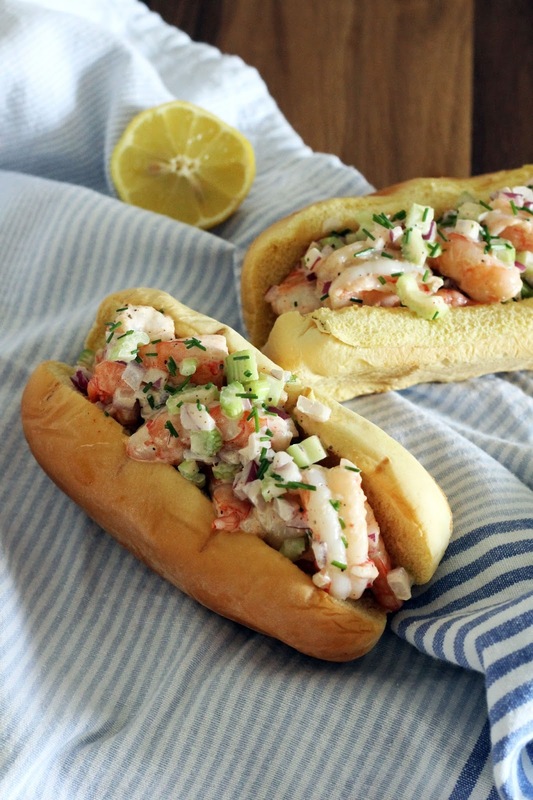 If you're craving a lobster roll I suggest you give this dish a try. Your taste buds and wallet will thank you. Preheat oven to 375 degrees. Toss shrimp with olive oil, cumin, salt, and pepper and place on a rimmed baking sheet. Roast for 3-5 minutes until pink and firm. Set aside. Place celery and red onion in a medium sized bowl. Cut shrimp in half and place in bowl with celery and red onion. Whisk together mayo, smoked, paprika, celery salt, lemon, and chives. Fold dressing into shrimp mixture. Toast buns in oven until golden brown, this should take 3-5 minutes. 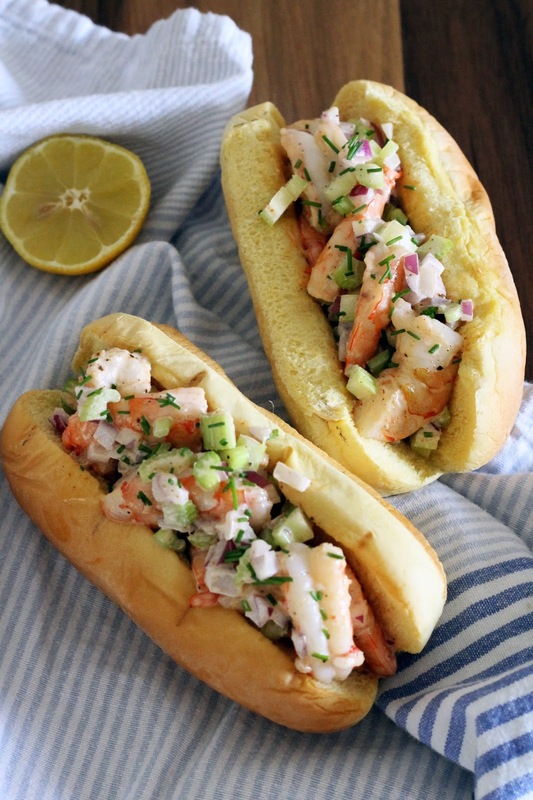 Fill buns with shrimp salad and garnish with chives. wow! these look just amazingly delicious! I'm feeling hungry now!